In characteristic fashion nothing of the uproar felt in other countries over the WikiLeaks revelations has surfaced in Singapore. Nor has there been condemnation over what Singapore leaders and officials said of their neighbours, particularly of Malaysia and the wrath it caused to Opposition Leader Anwar Ibrahim. Though nobody has come forth to lend credence to the bombshell revelations, the disclosures over the weekend are now the grist to the republic’s chattering classes. For neutral observers the “calm” in Singapore is yet another instance of a tightly controlled media which disallowed discussions. For those wanting to hear and know more about all that has been revealed, their quests are best served reading foreign papers about what is happening in their own country! It may look ridiculous but is true nonetheless. Yet there is everything to suggest that in Singapore all the gaggling of the press and spewing of the “venom” abroad, particularly those concerning Anwar, are taken in the best interests of maintaining peace. In fact, this has always been the driving credo of Singapore authorities as in the case of former Israeli president Chaim Herzog who caused a furore when he visited Singapore in 1986. But as always is the case, press freedom is not what it actually means in the city-state. Even way back in the late 1980s and early 1990s, Singapore former prime minister Goh Chok Tong inveighed against the adversarial (foreign) press, telling his parliamentary colleagues that “if the offshore press meddles in our affairs, we will confront them”. Hence, when the infamous whistle-blower WikiLeads dropped its bombshell revelations in the name of crusading journalism, it is not all uncharacteristic that Singapore felt none of the fury that swept the United States and elsewhere. For as long as the press in the city-state remains under the vice-like grip of the authorities, none of what is happening outside its borders will ever be given wide coverage. Yet for all the rancour created by references to Prime Minister Najib Tun Razak and of the incendiary remarks directed at Anwar, it is hard to see how bilateral relations can be adversely affected. 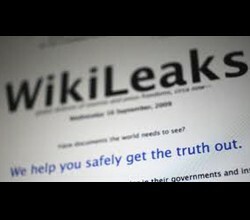 After all, Singapore and Malaysia have endured far worse “skirmishes” than the WikiLeaks furore. And they have even survived the cable leaks storm because what is more imporant, as pointed out by the Republic’s Foreign Minister George Yeo, is the national interests of both countries than some revelations based on hearsay. Sure, there is plenty of commercial and strategic interests working for both nations. The republic ranks as the largest investor in Malaysia, mainly in Iskandar Malaysia, Johor. And both nations mirror one another in almost all cultural and religious aspects that it is almost hard to see why some leaked cables would cause to unravel all the work that had been done over the years. In fact, if one were to look at the steady stream of visitors from Singapore to Malaysia, it is “business as usual”. This has always been the standard response whenever hiccups break out between both countries. WikiLeaks should have done “better” if had it wanted a diplomatic rupture.